Developing a healthy lifestyle takes dedication and work. Your efforts are enhanced by keeping a food and fitness journal. Rome wasn’t built in a day and neither is a healthy eating and exercise plan. Many studies prove the importance of self-monitoring during weight loss. In fact, it may be a key factor in achieving success. Keep reading to learn why a diet and fitness journal is the best way to monitor your habits and track your progress. Knowledge is the most powerful tool to motivate and facilitate change. You need to know what’s not working before you figure out what does. This record gives you the wisdom to optimize your efforts. You’re able to see eating habits and exercise routines that need tweaking. You’re accountable through self-monitoring. It’s hard to deny cheating on your diet when it’s logged in your food and fitness journal. We often don’t put thought into the food we put in our mouths. A commitment to write it down makes you take mental note of your choice. You can assess strengths and weaknesses. Evaluate your sources of energy to improve the effectiveness of your fitness plan. A journal can help you improve your metabolism and see greater results from your efforts. An effective food and fitness journal documents the daily reality of your choices. It identifies both good and bad habits. If you don’t have your journal with you it’s hard to keep an accurate record. Several apps are available for Android and smartphones. They’re convenient and easy to use. Many apps have computer software programs that provide an enhanced interactive experience. You don’t have to buy expensive programs loaded with features to keep a diet and fitness journal. An email, writing it in a planner or recording voice memos can document intake and daily activity. These short notes can then transfer to a more comprehensive log. It’s impossible to be successful if you don’t set goals to reach. Saying you want to be more fit in a month than you are today is great but not very specific. Setting a goal to reach in that month is specific when it describes the end result. A specific goal: I jog three miles a day by March 1st. If you can’t measure your progress you’ll never know when you accomplish your goal. Progress is evident by the amount accomplished. A goal is met when you successfully meet the requirements of your goal. It doesn’t do you any good to set goals that are impossible and impractical. You’re not qualifying for the next Olympics or winning this summer’s Ironman competition. Set goals that help you reach your potential. You need to set smaller goals relevant to your reality today. These will help you reach your long-term goals. Today a relevant goal may be to implement a high protein diet and 20 minutes of physical activity daily. Your goal next year may be to train for a half marathon. Give yourself a reason to work on your goal today. Set time frames to accomplish milestones and reach objectives. Setting time-based goals will discourage procrastination. A time-based fitness goal example is: I’ll do 200 crunches today. Setting S.M.A.R.T. goals allows you to celebrate accomplishments and measure progress. As you reach goals you’ll gain confidence and motivation. Specific- Don’t write vague entries. Document specifics. If you had a glass of milk record that it was 1 cup 2% milk. It’s not enough to say you ate some chicken. Specify how it was prepared and how much you consumed. It may be helpful to record other specifics. Recording your mood may help an emotional eater. Healthy alternatives prepared ahead of time can be an alternative to Fast Food. Measurable- That’s right size does matter. Record the quantity of food or amount of physical activity. Only 20% of the US population participates in physical exercise every day. It takes a conscious effort to incorporate a fitness routine into your day. Plan meals before you go shopping to avoid unhealthy impulse choices. Don’t forget about your log. It’s a tool that can motivate you and help you keep on the right track. Use the information from the past to focus your efforts in the future. Ensure your choices are beneficial, not detrimental to your progress. You can learn valuable information from a food journal about your eating habits. You’ll learn why, how, and what you consume. It’s not simply a log of what foods you ingest but a tool to help you make the right choices in the future. You’ll learn your progress and can develop goals to focus on your weaknesses. Changing your life requires changing your choices and behaviors. 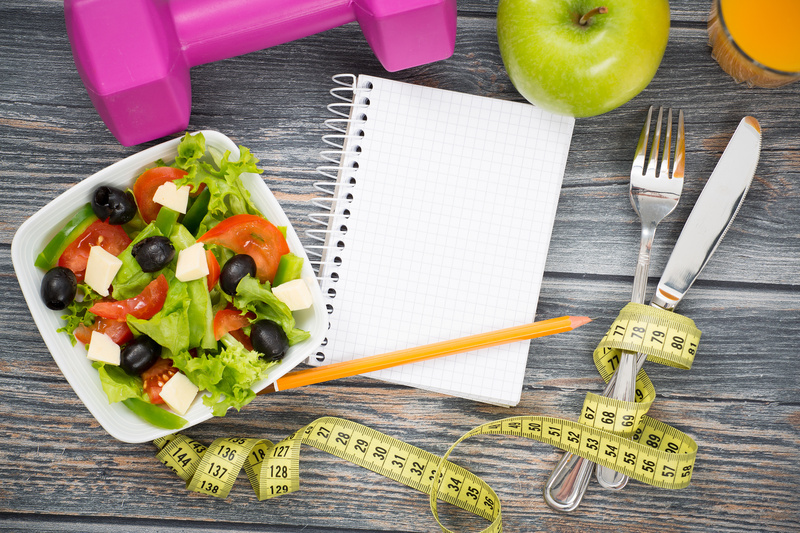 A food and fitness journal is an effective self-monitoring tool to help you stay on track. It can measure progress and motivate you to set new goals. You’re probably not taking this journey to change your life by yourself. You have healthcare providers, fitness instructors, dietitians and others in your support network. It’s easier to discuss your triumphs and difficulties with these people when you keep a diet and fitness log. More information from you leads to more suggestions and guidance from your support. Check out our blog for more health and fitness success strategies.